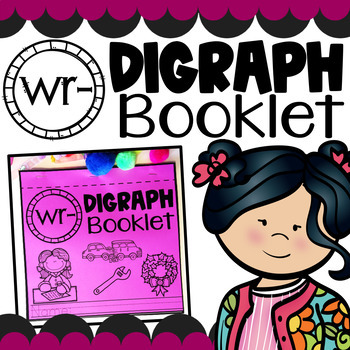 Students will get a lot of practice using and writing the digraph Wr with this booklet! 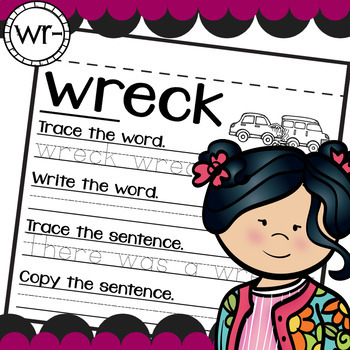 They will get the opportunity to trace the digraph Wr, color it, write it, write words that have the digraph Wr, and sentences that have at least one word with the digraph included. This is a great tool to supplement with your phonics and/or spelling instruction. This product can also be used for reinforcement for students still struggling with master the digraph Wr. 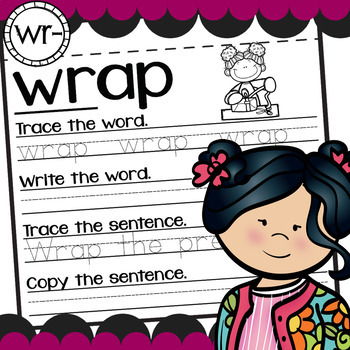 Pages Included: Cover page, digraph practice page, and Wr-digraph practice pages with words that include the beginning digraph Wr. 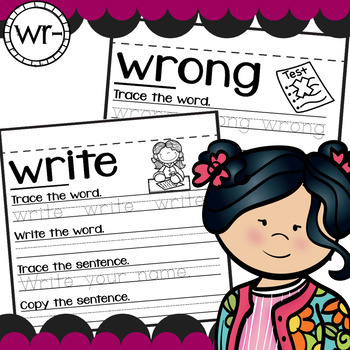 Please note: the words chosen for this booklet only include the beginning digraph Wr. Please take the time to preview this product so you know exactly what you are purchasing. If you have any questions or concerns about this project, please leave me a note in the questions/comments tab and I will get back to you as soon as possible! After making sure you are logged in, go to your My Purchases page. Under each purchase you' will see a Provide Feedback button. Click that button. You will be taken to a page where you can rate and leave a quick review about the products you have purchased. I value your feedback! Want to know more about my new discounts, freebies, and product launches? Look for the green star near the top of any page within my store and click on "Follow Me." After clicking on it, you will receive customized email updates about this store, when I launch new products, and when I put my items on sale.